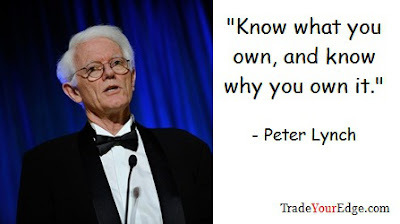 Qualification of Follow the stock market - Mr. Peter Lynch..! "Everyone has the brainpower to follow the stock market. If you made it through fifth-grade math, you can do it"